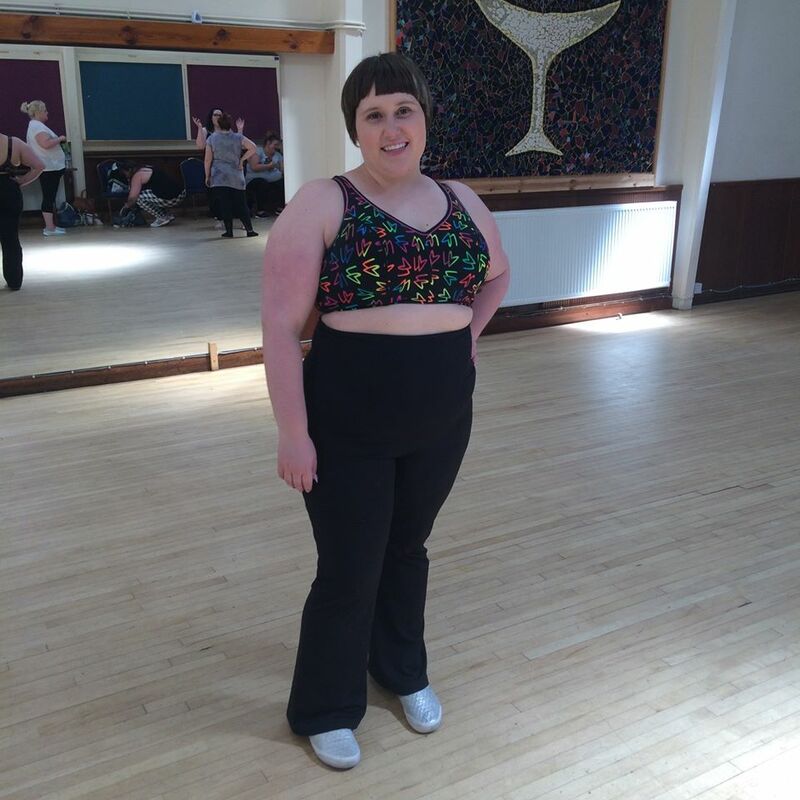 Toodaloo Katie: Body Positive Dance is For Everyone! 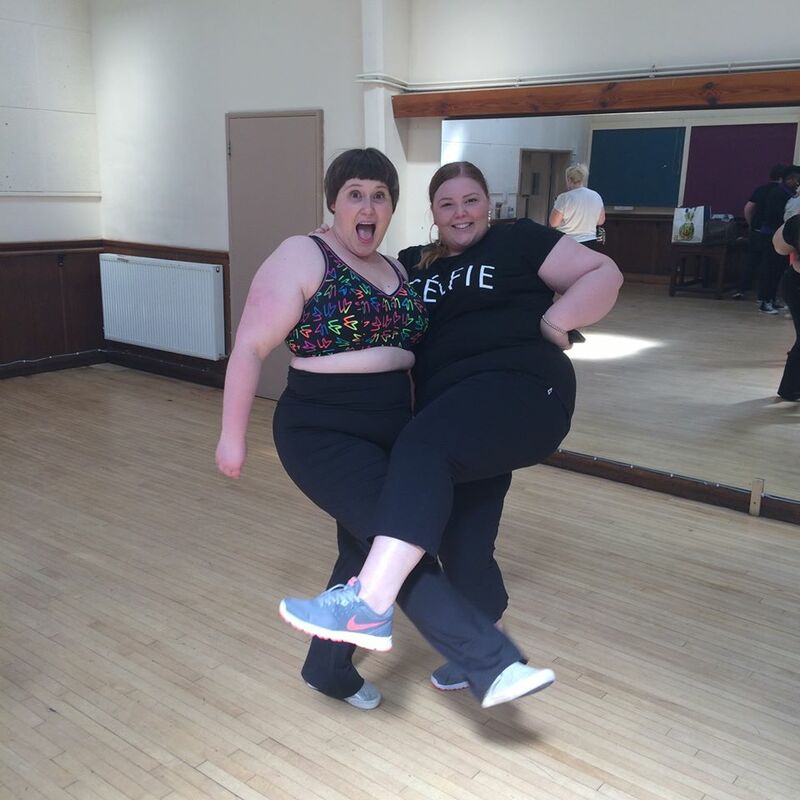 Body Positive Dance is For Everyone! I hope you had an amazing weekend full of sunshine - London was beautiful and I took full advantage! 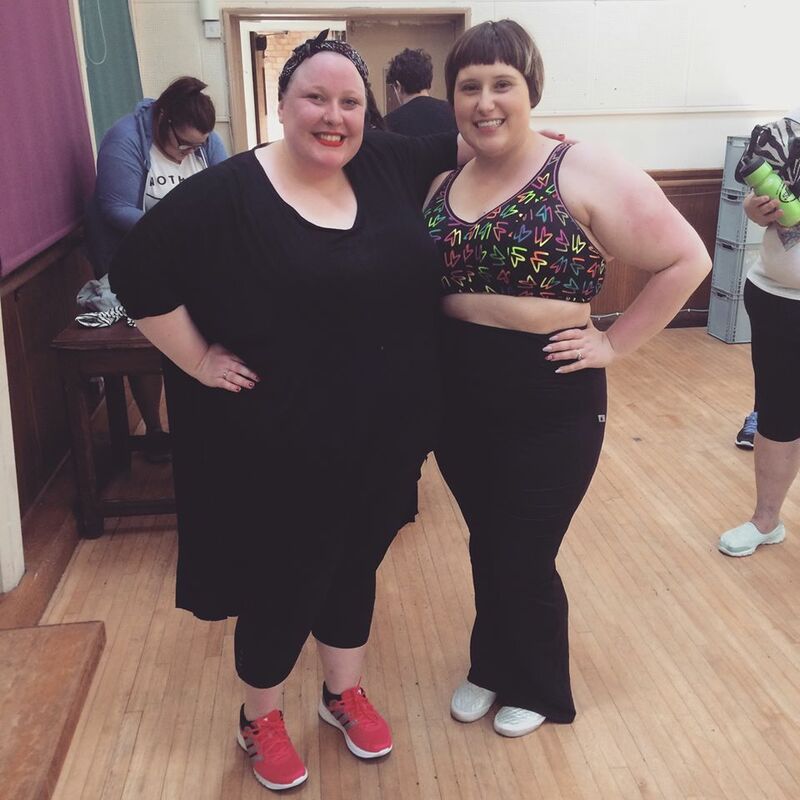 Today I wanted to do a little post about something amazing that I did on the weekend - I attended a Body Positive Dance class run by the amazing Ashleigh Owen, who I saw perform at the British Plus Size Awards last year. I have to share this experience with you because it's one that I think every person, regardless of their size should have. It's hard to explain what it's like to stand in a room full of beautiful people who have shown up simply to move and express themselves through dance and to encourage everyone to feel good. As soon as we showed up, even if we didn't know each other, I felt at home, knowing that the space was safe and positive. Just like the dance classes I attended when I was younger, we all lined up in front of the mirror and did a brief warm up, before learning an amazing and fun routine to Uptown Funk! It's amazing how much you can learn in an hour and just how awesome it was to laugh and practice in a big group like that. I really thought that my dancing days were probably done, mostly since I am terrible at remembering the steps but also because I have never found a place like this that makes me feel at home. I don't ever want to walk into a space that requires me to justify my body for the sake of exercise and activity and I find it hard to do this most of the time. Near the end of the class, we performed what we had learned and Mel, Ashleigh's partner and resident dj filmed us - the video can be seen on the Facebook page, and has been viewed to date over 20 000 times - which is amazing! Check out this gorgeous pic with instructor extraordinaire, Ashleigh! If you live in London please take advantage and get a ticket for the next one when it is announced! 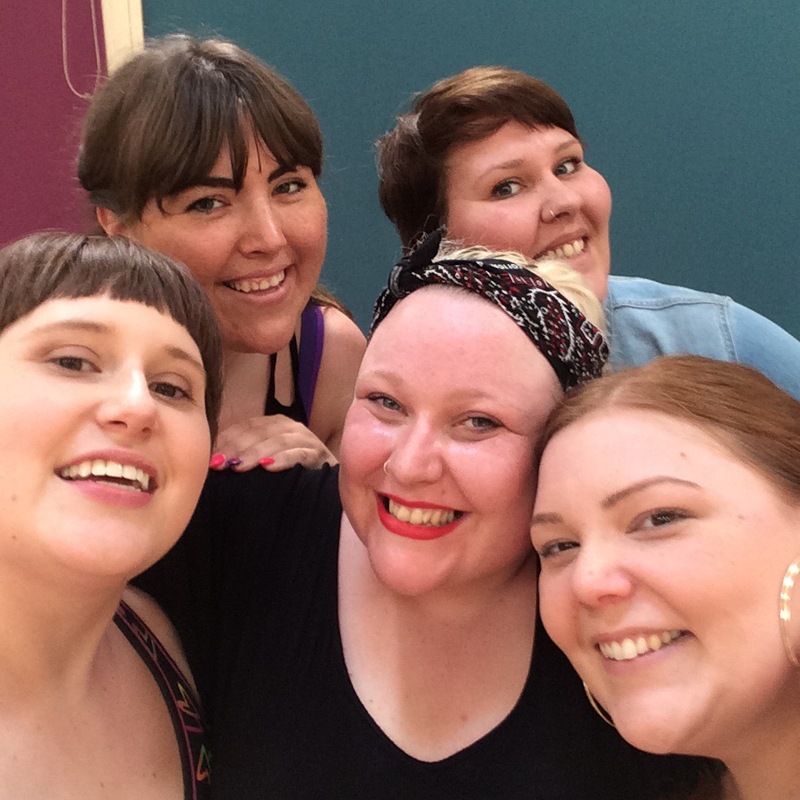 It's so much fun and really caters to all bodies and abilities - Ashleigh is a dream of an instructor - kind and patient and most of all, fun! She is plus size herself so is in the know on how to make it friendly for everyone! This is just further proof that you should never put off something that you would like to do because of the way that you look or how you feel in your skin - live in the now and dance like no one is watching - you will feel better for it! Have you seen the video?! Are you jazzed and going to come dance with me at the next one?! And look at all these fabulous babes! !